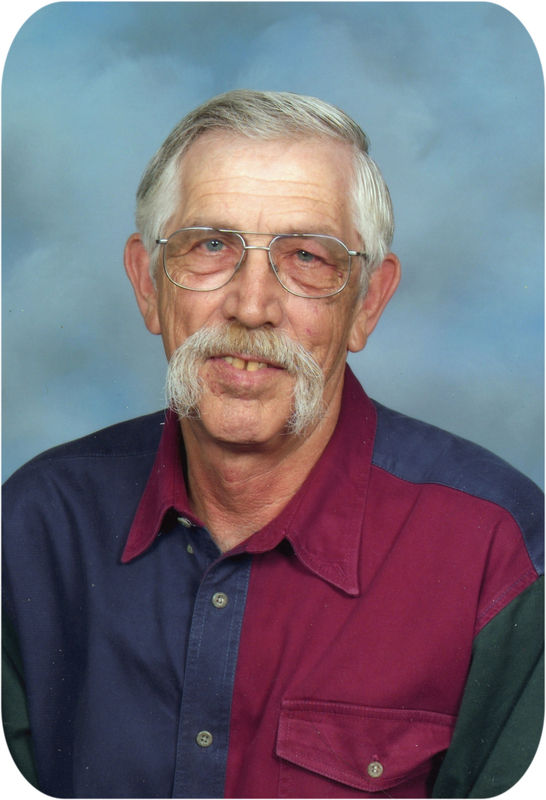 Daryl George Jensen (July 19, 2018) | Burmeister-Johannsen Funeral Home, Inc.
Daryl George Jensen, the son of Edmund and LaVera (Hansen) Jensen and twin brother to Duane, was born on June 22, 1944, in Harlan, Iowa. When Daryl was twelve years old, his father died and the family moved to Gray, Iowa. Daryl and Duane attended school in Gray and Audubon, Iowa; during these years, the brothers worked for various farmers. After graduating from high school, Daryl worked at Western Iowa Pork in Harlan, Iowa, before serving four years in the United States Navy. On April 4, 1970, Daryl married Jean Marie Grote at Our Lady of Fatima Catholic Church in Portsmouth, Iowa. Daryl continued to work at Western Iowa Pork until the plant closed in 1974. For the next two years, he worked at various jobs before working at the Shelby Elevator, Shelby, Iowa, for 18 years. Daryl then spent eight years as an over-the-road truck driver for McNabb Trucking. Following his time in that position, he worked for Nebraska Machinery, Omaha, Nebraska, for 16 years. Most recently, Daryl hauled grain for Stamp Hauling. Daryl was a member of St. Mary’s Catholic Church in Avoca, Iowa. He was a member of the Shelby American Legion Post #240, Shelby, Iowa, for 33 years, and spent 16 years as a member of the Shelby Volunteer Fire Department. Known as “Pops” to his family, he loved spending time with them and his friends, occasionally enjoying a good beer with them. He liked to fish, hunt deer (black powder), and play golf. Daryl was a NASCAR fan who also liked to attend races at the Shelby County Speedway. Daryl G. Jensen died on Thursday, July 19, 2018, at Myrtue Medical Center in Harlan, Iowa, after a struggle with cancer for the last two years. He had reached the age of 74 years and 27 days. Daryl was preceded in death by his parents; his stepfather, Fred Bollman; and one brother, Victor Jensen. He is survived by his wife of 48 years, Jean Marie Jensen of Shelby, Iowa; two sons, Danial Jensen of Mount Pleasant, Texas, and David (Crystal) Jensen of Avoca, Iowa; three grandchildren, Mackenzie Jensen, Jackson Jensen, and Corbin Jensen, all of Avoca, Iowa; three sisters, Emily (Ted) Aikman of Mount Pleasant, Texas, Norma (Sam) Randazzo of Papillion, Nebraska, and Nancy (Bill) Moore of Audubon, Iowa; two brothers, Duane (Lisa) Jensen of Harvey, Louisiana, and Mark Jensen of Jacksonville, Florida; nieces and nephews; and other relatives and friends. The funeral service was held on Wednesday, July 25, 2018, at Burmeister-Johannsen Funeral Home in Harlan, Iowa, with Father John Frost of St. Michael’s Catholic Church, Harlan, Iowa, officiating. Honorary casket bearers were Mackenzie Jensen, Jackson Jensen, and Corbin Jensen. Serving as active bearers were Jamie Grote, James Juhl, Greg Jensen, Casey Moore, Erick Ausdemore, and Walter Ausdemore. Burial was in the Shelby Cemetery, Shelby, Iowa, with military rites conducted by the Shelby American Legion Post #240, Shelby, Iowa. The Burmeister-Johannsen Funeral Home in Shelby, Iowa, was in charge of the arrangements. Condolences may be left online at www.burmeisterjohannsen.com. I wish my health was better and I would love more than anything to have come back to see all and spend time with family. I know he will be missed by all family members, and many friends.